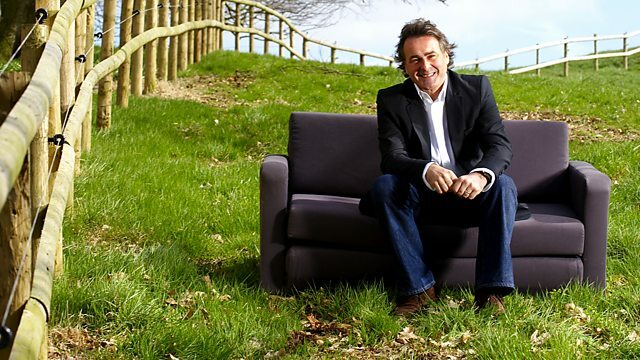 You Beauty ‹ Ten of the Best 2011 ‹ Flog It! Paul Martin presents a top-ten collection of real head-turners from the Flog It! archives. Among these beauty-enhancing items is an exquisite dressing table set. Browse content similar to You Beauty. Check below for episodes and series from the same categories and more! Hello and welcome to Ten Of The Best of "Flog It!" I've put together a collection of my favourite items from the archives. nestling on the Thames in West London. and arguably the finest Robert Adam interior in the country. Beauty is my theme for today's show. Over the years, we've found our share of beauty-enhancing items. So, stand by for my top ten head-turners as we look back through the archives. cast in Mary's gorgeous vanity mirror. an object of virtue. This lovely gem of craftsmanship. because I think it's lovely. from an antiques fair in Chichester. And it just caught my eye. I loved its tactile shape, you know. And it sits in the palm of my hand. And I used to use it to put my make-up on before I went out. I used to go round the folk clubs singing. and, yes, I've always loved it. I think you must've been the best equipped folk singer in the time, then. looking at the outside, is a little vanity mirror. And I think that that is just charming. Do you know what it's made from? I understand it's not tortoiseshell but turtle shell. That's one thing I have learned from Flog It! And I presume it's inlaid with silver. The silver is so fine that it is impossible for it to have been assayed. -So, you cannot look for a mark to date it. of the feathers, to give it that three-dimensional appeal. So, you used to use it, does that mean you don't use it any more? you don't like to look in mirrors so often. Oh, get away! I can't believe that at all. -£70 and £100 for it. And, reserve, would you like a reserve on it? I'm not really bothered, I'd leave that to the auctioneer. I think that's a good idea. He'll monitor it. We can have a chat nearer the time and he'll look after it for you. -But, £70-100 and we'll see what response we get. and her extraordinary-looking Wemyss wash set. and we're just really interested in how much it's worth. Wemyss being a Scottish manufacturers. Now, where's it come from? Originally it was from my grandmother's house. It was on display there for many years. so it's been in storage since then. because she couldn't fit it anywhere else. to say, "Hang on a minute, we might keep this Wemyss toilet set". so it might be worth something. So, she kept it. She just couldn't have it on display. It is great, it's a lovely, lovely set. -You normally see Wemyss with lots of big flowers on. You don't normally see a full set like this. Do you remember that or was that always broken? I remember this more than anything. I can't remember the bucket. The bucket, really, is vastly unattractive. -Really, the most attractive items are the jug and basin, here. The sponge dish. Sponge is in there to keep it all dry. And then this is a soap dish and cover. -we've got the Wemyss stamp and this T Goode & Co., London. Probably bought in London in the early 20th century. Late 19th, early 20th century, I would have thought. at about £400-600 for the set. More than I expected, I think. To me, it's just not very attractive. Say we get you £350, what will you do with it? Well, obviously, I'll give it to my mother. So, how long have you waited today? Oh, a good few hours. A good few hours? Surely it's £100 an hour, isn't it? For this waiting. But did Debbie's patience pay off? Well, you'll just have to wait and see. when I had to put a price on Andy's barber's chair. and this was in it. and thought, "That looks nice", and kept it. You were going to throw this in a skip? It was going to be skipped, yes. Good for you, I'm so pleased you didn't. You've earned yourself an extra few bob, now. Any idea of its date? This is about circa 1900, 1910. And it's made of oak, it's very good quality, but it is machine-made. It's been manufactured and there's a little sticker to tell us who's made it. so he could have a proper shave. And this is the bit I like, I love this. Because it can adjust for your neck height. But I think this is so quirky. which just help the construction. on this little tulip shape. -and hope to get somewhere around £75-80. So why do you want to sell it? -He doesn't want to sell it? -Do you, or don't you? -He loves his barber's chair. All it does, really, is sits in the dining room. But is it going? Definitely? It's definitely going, yeah. I mean, it is nice but it's got to go. and let's hope it makes a clean cut in the sale room. with an item that Jan had with her. Jan, you've brought this mysterious box, here. What's inside? Let's have a look. probably about five or six years ago. which is what I used to collect at the time. "I've got to have it", just loved it. -Absolutely, an impulse buy, yes. It's lovely. Do you know anything about age? and she thought it was about 1886.
because it tells me the maker who made it, and the year, 1886.
he's one of the better late- Victorian makers of scent bottles. And this is a really nice example. so it's a glass body and then over painted with glass and refired. -And you've got a silver gilt - so silver covered in gold plate - mount. It's a really lovely thing. Why are you selling it? and I'm now sort of collecting '50s things. and I want to buy a '50s lamp, one of these tall lamps. So I need to get some money, basically. So you're on a one in, one out policy. You can't buy something until you get rid of this. -So it's here to sell. -For auction, I'd probably put an estimate of £300 to £400 on it. -Is that the sort of price you'd be happy to sell it for? -Yes, yes, I think so. That sounds fine. it doesn't sell for so little that you'd be gutted on a quiet sale day. What's the least you'd take for it? Um, I wouldn't want to sell it for less than £250. -is put a reserve at £250 and make that a firm reserve. And the estimate in the catalogue will be £300 to £400. I think it's got a really good chance of selling at that. if we can put it in and get you enough money for a lamp, that would be a good result. when they went off to auction. What kind of interest was reflected in Mary's vanity mirror? but did it manage to clean up at the auction? but did it come up smelling of roses at the auction in Ely? an early 20th-century barber's chair. So let's see if Mary's mirror pulled in the bidders in Grantham. Why are you selling this, Mary? It's been on the road with you, you've loved and cherished it. Well, I think it deserves a new face. Mine's completely worn out! Nothing wrong with your face. The 19th-century tortoiseshell and silver pique work vanity mirror. A very pretty little lot, this one. Who's going to start me at £50 for it? Straight in, 50. Thank you. 50. We've sold it. Straight in. 55, 60. And five now. 65, 70. five, surely. 75. 75 bid. 80 bid. Five. 90. Five. 100. 10 now, 110 bid. 20 or not? 120 now, surely. 110 at the back of the room, 120, 130. -At 135, we may have an Internet bidder. We do. 140. Thank you, sir. 140, 145. 145. 50 now. 150, 155, 160. Thank you. 170. 180 now in the room. 180, 190. 190. 200. 20 anywhere else now? 220, it's the last call. At 200, my bid's in the room, then, at £200. All done and finished selling, then, in the room. And definitely selling at £200. -£200 - now that's a real, true reflection of its value. I think somebody's buying all the love that little piece contains. -You know, the feel-good factor's there. -Wow! Mary, that was a nice encore, wasn't it? Mary's mirror went for more than double Elizabeth's estimate. I joined Jan and her sister at Charlie Ross's auction room in Woburn. I know Kate fell in love with this. It belongs to Jan, possibly for not much longer. It's a gorgeous little scent bottle. We're looking for 300 to 400. It's a good day in the saleroom. It might. If two people want this, you don't know what'll happen. The Victorian smoked-glass scent bottle. Enamel decorated, bearing hallmarks for 1886. -360 I will take. At 340, 360 now. At 340, the bid's with me. -This is more like it, isn't it? 440. Still with me, 440. Commission bid at 440. The bid's here with me at £480. Hammer's gone down sharp then. £480. Yes, that's really nice. I'm very pleased with that. Are you going to reinvest the money in the antiques trade? or, if I can't find one, a coffee table. -That's half the fun, isn't it? having fun days out shopping. -You can learn so much. That little bottle shattered Kate's estimate. Will Axon was putting the barber's chair under the hammer. Andy. Hello, Katie. Another addition to the family. Who's this one? -Hello, Thomas. Shake my hand. -Is this your first auction? -Doesn't seem that excited, does he? -So it's a family day out, is it? -It is. It's school holidays. -Right, where's the wife, then? -So you've taken the day off? Let's hope we can send you home with some money. We're going to find out right now. Good luck, kids. This is it. Lot 160 now, here we are - the barber's chair. I can see it in a big bathroom, in the corner somewhere. Interior lot, there we are. What's it worth? Give me £50 for it, start me. At £50 only. Surely at 50. Where are you at 50? Hello. At £50. Anywhere at 50? £30, a voice. At £30 now, the voice, at 30. £30 I have now here at 30. At £30 now. Who else is in at £30? The voice at 30. It's you and me. It's in at 32. At 42, 45, 48. 50 now. Five with me. One more if you like. Shakes the head. At £55 with me. At £50 now, are you sure? At 55. We're away at £60. You all done elsewhere, then? At £60. Sold. -Are you pleased or are you upset? -Cos you did want to take it home. That's not bad. We can go out and have a meal or something. Daddy said we're going to the zoo. You're going to the zoo? Oh, brilliant. And Katie and Thomas got a fun day out with the proceeds. when it came to Debbie's wash set? I went and had a chat with auctioneer Stephen Hearn. This has been in her mum's loft for the last 16 years. And there's not a lot of money on it for the amount you get of Wemyss. Well, I think we're going to do well for Debbie on this one. despite the fact it might have had a beaker with it. -And it could even have had a couple of chamber pots. I've seen a lot of Wemyss on the show before. but I've not ever seen any with a black grounding like that. Yes, well, this black grounding was introduced by Shapland. And it didn't chip as much. But did it sell as well? It does look slightly dour compared to the brighter vessels. A lot of it was to order. Possibly why Thomas Goode retailed it. That normally cost about 15% more. -Yes, to have the oil introduced into the glaze. -So this could be rarer and it could put the value up. -Has there been a lot of interest in this? -I think it's probably going to go back home to Scotland. Hm, that may be real top end. -I can see it doing 1,200 anyway. -Can't wait for this sale to start. -If they were all like that, I'd sit all day doing it. -I bet you would. Yeah, with a big grin on your face. Well, that sounds promising, but did it do the business? It's the Wemyss, a big collection of it. It belongs to Debbie, and not for much longer. -Especially at 400 to 600. That's what you were happy with, weren't you? If you had 600 quid, what are you going to spend it on? so it's going to go on a big family holiday. -It's going to go towards that. -We're going to do the 1,000 plus, aren't we? -You're being cautious on the day. -I'm being cautious on this one. Still a bit cautious. I think it could well do it. You have seen, and you've been on Flog It many, many a time. -You love your 20th-century stuff. -I've seen Wemyss do really well. You've seen little preserve pots do £300. -"Hang on, will a Wemyss collector want it?" -They like the big pigs. -They like the big pigs but do they want a big, you know, toilet set? And the pattern - never seen that pattern, that grape and vine. Right, this is interesting, this Wemyss toilet set. a cover, a slop pail. 320 I'm bid for it, 350 bid. 380 bid. £400 bid, 420, 450, 480, 500. A rapid climb - they love it. 700, and 50. 800, and 50. 1,050 I'm bid for it. -Twice what you were expecting. -That's all I can say. Have a great holiday. Well, that's the first four of my ten beauty items. when I visited Britain's oldest health farm. in these establishments in the pursuit of health and beauty. Nowadays, it's all about relaxation and pampering. and providing cures for a number of conditions. And it all started here at Champneys, just outside Tring. And it's still a health spa today. something alternative to normal medicine, really. An early incident in his life convinced him that they worked. and regained its use with a strict exercise and diet regime. which is pretty much how it was back in the 1920s. is a bronze bust of Stanley Lief, the man himself. ..who was trained by Stanley and worked here back in the 1950s. -Does it bring back many memories? But, nevertheless, it's good to bring back a bit of nostalgia. What was he like? Tell me a little bit about Stanley. Obviously, he was a pioneer, I would have thought a very nice gentleman. and he ran this place like a little rod of iron. But he was a most approachable character. Explain a little bit more about his treatments. Well, basically, naturopathy, or nature cure, is wholeness. In other words, you treat the person as a whole. So all the treatments involved were things like manipulative treatment. we used to have all the hydrotherapy, of course. There was gymnastics here, there were walks that he arranged. There were quite a lot of disciplines. Did you have to adhere to them as a strict regime? It was a strict regime in those days, yes. -Not so nowadays, really, is it? -No, it's more loose, I'd say, these days. But he was very strict indeed. If he said to a patient, "Look here, I want you in bed by 9pm." -By golly, you were in bed. -You were in trouble, yes. Being afraid of Stanley was not the only thing that had his patients turning hot and cold. and we have the hot and the cold water. and alternates them, three times in each. It's for the repletion and depletion of the abdomen and to increase the circulation. And I think, on the whole, they enjoy it. If you had contrast bathing, like hot and cold, you were going to stimulate an area. then the blood's going to go away from it. If I put it in hot, the blood comes. So it's like an internal massage. It does sound like a bit of a shock treatment, though. Sort of hot one minute, perspiring, and then freezing cold. It wasn't such a shock, no. You could do it nice and gently. How much can anybody stand in that machine? No more, I would say, than about 15 minutes to 20 is enough. I'm on low at the moment, you see. And we have three different temperature gauges on it - the high, the medium and the low. -Do you feel faint when you come out? As long as you have a shower, a cold shower, and lie down. What about diet here? What did most people sort of eat? First of all, today, they use this word "detox". In those days they put people on a fast, a similar thing. You're detoxing, resting the body. So some people just had water, water fast only. Others, it may be just fruit juices and so on. And then he would introduce the diet very slowly. then he may go onto salads and so on for two or three days. -which is lost today, unfortunately. not working, wearing a dressing gown and sort of slippers and just relaxing. -It's a wonderful thing to do, isn't it? but back then did they check in for a lot longer? three weeks, four weeks, sometimes longer. As I say, they came from all over the world for his treatment, yes. I don't think I'd have lasted four weeks of Stanley's treatments. with the emphasis on relaxation and providing an escape from the stresses of busy modern life. on my bike, getting lots of fresh air and exercise. makes the business of beauty look effortless. costume jewellery, and her fabulous bust of a Hollywood legend. We really have got quite a selection here, haven't we? but the thing that strikes me is the selection of designs. are a throwback to much earlier styles. So, for instance, this brooch caught my eye. and the two doves drinking from it. in the George III period. in a piece of '50s costume jewellery. but dating back, in design, to the Victorian period. a typical motif of the Victorian period. you've got motifs from the Art Nouveau period. Really striking. I love them. -I bet they're heavy to wear, though! The great thing about costume jewellery is it's affordable. producing really glamorous pieces in the 1910s, 1920s. the everyday man on the street. And so copies came about, using paste to produce glamorous pieces. And it's great that we have Marilyn here. Tell me about her, where did she come from? and things, and I went past a charity shop and she was in the window. but I thought, "Oh, I'll buy her anyway. She's lovely." It's very fitting that she should be here. but a fantastic bust to model this costume jewellery. to wear in films and on the stage. -Rather than their expensive jewels and diamonds? It's very fitting that she should be here, modelling this necklace. What about value? Have you any ideas? I'd like to get a minimum of 100. -That's with the bust and the jewellery in one lot? but I understand you would like a reserve of 100. I don't think that's out of the question at all. So you've obviously been collecting for some time. -Why do you want to sell it all now, Sharon? -So it would come in quite handy. -It would come in very handy. I'm glad you brought it in. I hope we can flog it for you. I hope so, too. Thank you very much. I've just got to dazzle you with these three unforgettable items. early 20th-century porcelain toiletry box. I got it from auction in a box of other items for £5. -I won't tell you where. -No, no, don't tell us where. that the best things really do come in small packages. to our valuation day in King's Lynn. the little knives shoot through. But the £420 it made in auction didn't seem to hurt one bit. back in Newmarket in 2002 with Angela's dressing table set. really, isn't it, in design? and, at auction, it reached the handsome price of £550. a dumping ground for her mother's dressing table accessories. and she used to put bits and pieces in it. -considering it had rings and things in it. They're what we call Cantonese famille rose ware. pinky green and blues in the pattern. people in different courtyards, buildings in the background. so maybe between 1890 and 1910, that sort of period. And it's quite a nice collection. and a lid's missing from one of the rouge pots, or whatever. and stands, and this rather nice kidney-shaped dish. or just decoration in the kitchen or the dining room. So they've been up in the loft for 25 years. -Have you ever thought about the value? -So it's why you brought them today? And I think it's such a shame. It's just a waste, isn't it? I suggest we put it in as a little group. -an estimate of maybe £200-£300 for the group. And I think we should fix a reserve at maybe 200, with 10% discretion. is there anything you'd put the money towards? -I'd put it towards a conservatory. -and I look forward to seeing you at the auction. in the saleroom a little bit later. Janet and Donald's sewing case. Quality, quality and more quality. Donald and Janet. -Janet, does this belong to you? -I bought it a good many years ago, about 30 years ago. Why did you buy it? Was it to use or because you liked looking at it? -I liked looking at it. -Did you buy it in a shop? -Can you remember which shop? -I think it was down Magdelen Street. -A church shop I bought it from. -Do you remember what you paid for it? No, I can't remember. I paid about £30 odd. That was a lot of money in those days. It's called a necessaire, ie, every woman should have one. to repair anything that might be damaged in terms of clothing. This would be for instant repairs. you thought, "Blimey, my hem's gone," out with your necessaire. Sometimes they were on little chains and you kept them about your person. This would have been kept in a handbag. -Correct. And I've had a quick look. They're not silver or silver-gilt. But they're gilt medal. the gilding is still on there, which is wonderful. is the fact that it's all there. Needle, scissors, thimble and needle case, I think. I'd put that at 1860 or 1870. Donald, why is it being sold? -We want to buy our granddaughter's wedding dress. -What would you like it to be worth? it cost £30 and that was a lot of money when you bought it. I'd like to estimate it at £100 to £150. I'd like to put a fixed reserve of £100 on it. Ideally, I'd like to see it make £150 or £160. -Thank you very much. Lovely to see both. let me just take you through the line-up once again. when Sharon introduced her to a silver screen starlet. certainly pricked Charlie Ross's intrigue. But did it entice any bidders when it came up for sale? And finally, Mark went mental for Sue's oriental porcelain. The question is, did it catch anyone's eye at the auction? raise enough cash to pay for their granddaughter's wedding dress? What a fabulous item you've brought into the valuation. in the ivory case and they're rare to be so complete. There's always something missing. You got this a long time ago. -I did, over 30 years ago. -We're going to get your money back. -You can bet your life there. 30 quid you paid, did you? It had to go because my girls aren't interested in needlework at all. Are they having some money from this? Will you treat them? My granddaughter's getting married so it might buy a button or two for her wedding dress. A few. Well, all the talking is over with. It's now down to the bidders. OK, here we go. It's going under the hammer now. Good luck both of you. The continental case, sewing thing. Pretty little lot. A couple of ladies down the front. 80, 85, 95, 100 now. This chap hasn't put his hand down. He's just standing there with his hands in the air. ..with the lady at 290. 300. 300, I've got in the room. 310? Back here at 310. Back with the lady at £310. You're out. 320. 330, here in the room at £330. -This is good, isn't it? Bid now or I sell... 340. With the internet at 340. 350. With the lady at 350. £350, it goes then at 350.
and hopefully, come on, a new hat for you. You can't go to a wedding in just a hat! a spring in her step as she walked down the aisle. when Sharon's costume jewellery came under the gavel. -Costume jewellery, all that glitter. -Marilyn is right up there. -She is, in prime position up there. Fingers crossed, here we go, Sharon. The collection of costume jewellery. 70 and five. 80 and five. 90 and five. 100 and ten now. 170, 180, 190, 200, 210. Go on, make it the two. and 20, 300 at the back? At the back, selling now at £300. All done at 300. -That's so good. I knew it was worth it. dazzle the bidders in Hampshire in 2004? and it's Sue's Cantonese porcelain. and as you said, a lot of pieces in that lot. Yes, but I'm not on Blind Date yet. But it should do that. I should do the top end, I hope. I notice you've got all the family with you. Is that just in case it doesn't sell and they can carry it home? I hope they don't because here we go. Start me at 300 for this. £200? 360, £340. All done at 360. 360 here, 380, at 360 on the phone. Any advance on 360? 380, 400. 420. We could be here all night. And 20. 950. 980. 1000. -Do you need a seat? £1,200 on the phone here. Against you all in the room. 1,250 in the back. 1,300. -The eyes have glazed over. I honestly thought I'd take it home. I honestly thought that. All the family were here, there are about six of you. You were all going to carry a piece home, weren't you? -I know. I was being cautious, obviously. -What else can you say? but I think that's taking the biscuit but it's great. and what a stunning result for Sue. to the end of today's show. it's goodbye from Syon House. From Syon Park in Twickenham, Paul Martin presents a top-ten collection of real head-turners from the Flog It! archives. Among these beauty-enhancing items is an exquisite nine-piece dressing table set and a fabulously ornate Victorian scent bottle. Paul also investigates the beauty business with a look around Britain's oldest health farm.